Today we wanted to talk about cookies, and not the kind with the elf on them. Website cookies are small pieces of data that contain information about what you do on a specific site. This includes items that were in your shopping cart, login information, credit card information, etc. They can take up some space on your hard drive. If you are concerned about your online privacy, deleting your website cookies is a great way to keep your information private. Below is a list on how to clear out cookies on the most common web browsers. First, click on the three dot menu underneath the ‘X’ to close out the browser. A drop down menu will appear. Select Settings from the available list. Following this, click advanced options. 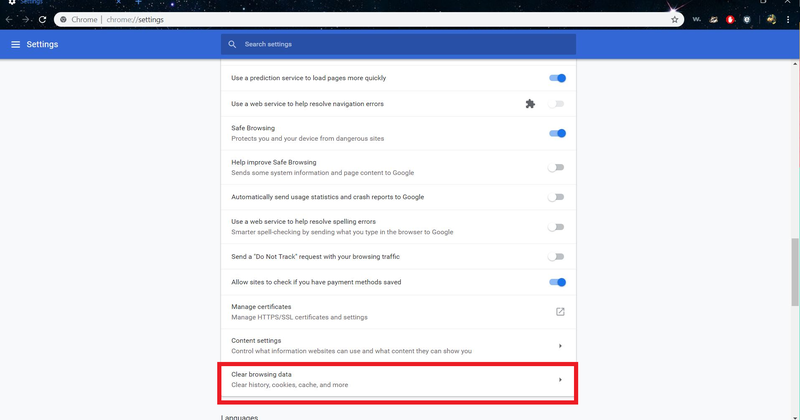 Then select Clear Browsing Data under the Privacy and Security section. A popup will appear that will allow you to select what you want to delete. The basic option will allow you to delete the browsing history, cookies, and cached images. The advanced option will give you ability to delete form data, passwords, and other information. Once you clear out the cookies, Chrome has the ability to modify how cookies are collected. 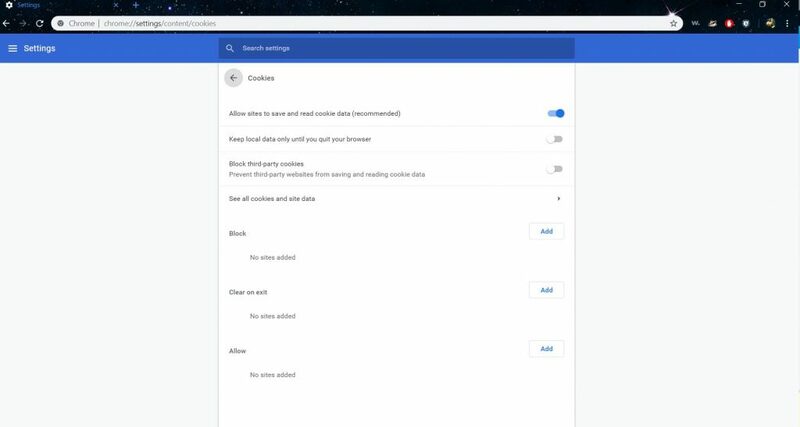 Above the Clear Browsing Data option, click Content Settings. Following this, select Cookies and you can modify the Cookie settings. To start, click on the three lines in the top corner of the browser window, beneath the ‘X’ to close the browser out. Then select the Option tab from the drop down menu. After that, select the Privacy and Security Tab (4th option from the top). Scroll down until your find the Cookies and Site Data section. 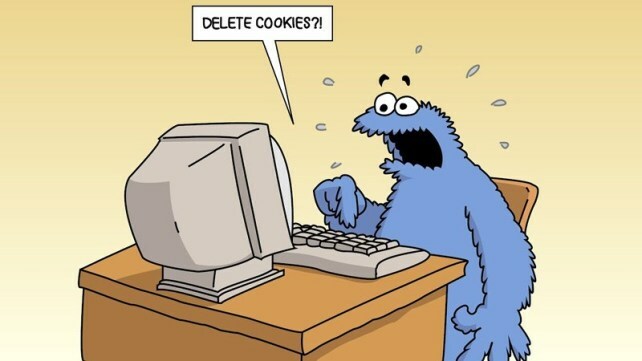 Click Clear Data to erase any stored cookies. Similarly to Chrome, you can manage what data is retained. 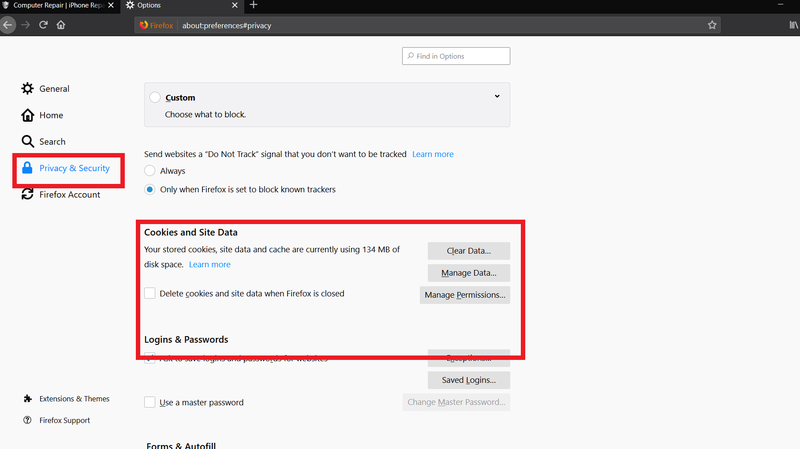 You can even opt to have all cookies and site data erased anytime you exit the Firefox browser. 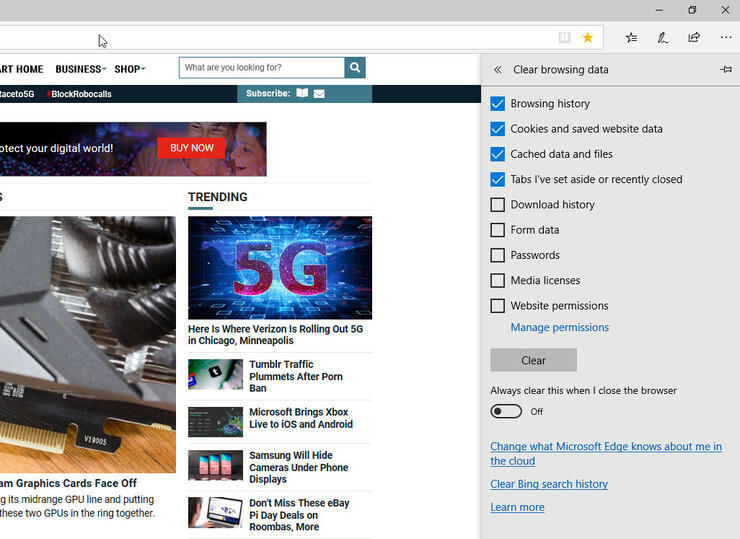 Even though Microsoft Edge is on its way out, there are still are plenty of people who still use this browser. To Clear the cookies, select the three dots at the top right of the browser (beneath the ‘X’ to close out the browser). Select Settings and then the Clear Browsing Data option. From here you can select the data you want to be retained or deleted. Edge users have the ability to manage the cookies for future use. When in the Settings tab, find the Advanced Settings and find the Cookies option. From the drop down menu, there are three options: Don’t Block Cookies, Block Only Third-Party, or Block All Cookies. If you are a Mac user, Safari is the built in web browser. Safari will only retain cookies from the websites you visit, but not third party cookies. Click on Safari in the top left corner of the screen, then choose Preferences. Once you are in the Preferences menu, click the Privacy tab. By clicking on Manage Website Data under the Cookies and Website Data section you can choose what is saved and what is deleted. Note: If you are using OS Mojave your privacy screen may look a little different, but the process is still the same. If you are using Google Chrome or FireFox Quantum, you can install an extension called Click&Clean. This extension will help keep your information private automatically and allows you to set how much information you want automatically deleted.